This time, the problem comes because of the big number of drives needed for the application. Up to 68 Slaves to be controlled by a PLC, and even in Modus the theoretic limit is 128 nodes, the ones who are really in the field should know than more than 32 nodes means big troubles. According to this, we recommend to our customer to use CANOpen in two different CANOpen Networks of 34 slaves each. Just let you know that it wasn’t easy, but is working, thanks for the great technicians of our Turkish distributor FastLTD. Feel free to download the presentation with full explanation of the application. 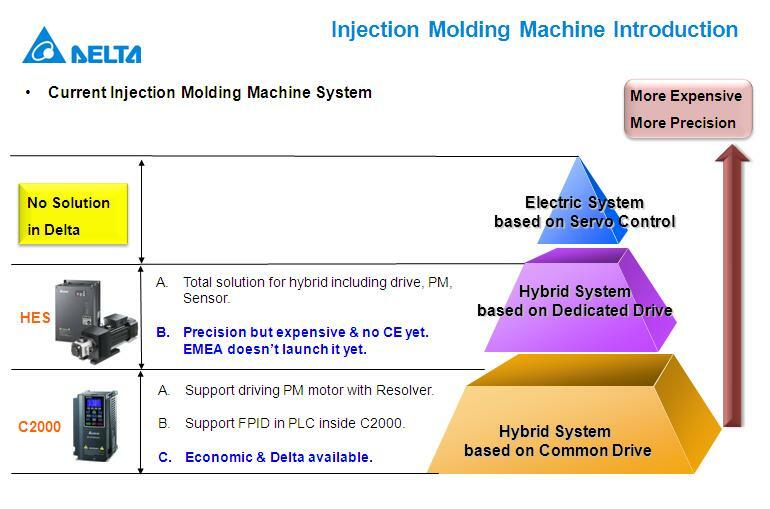 Injection Molding machines is a quite common application, because of that, Delta develop several solution depending on the different type of injection moldign machine. This system provides precise pressure and flow controls, with our Delta key point in power: The energy savings. 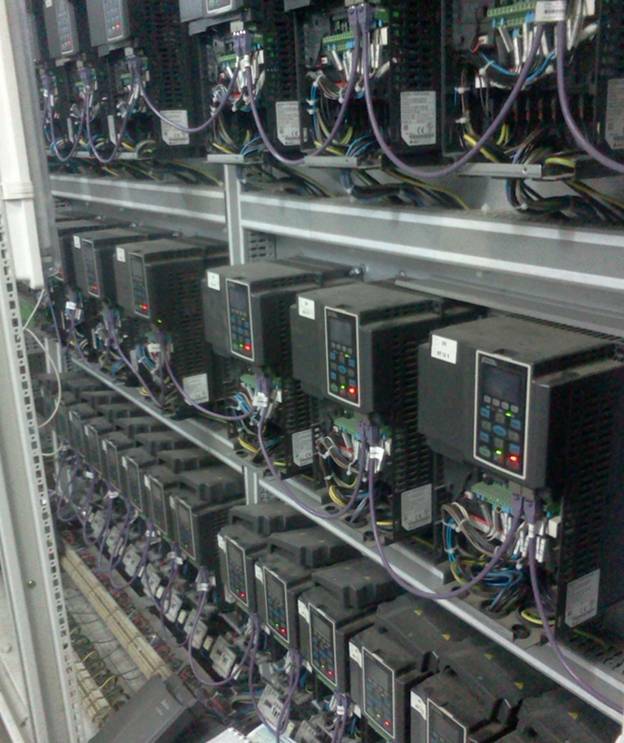 In this moments, this product is under field test in Asia, and really soon on the rest of the world! But for standard systems we got another solution. Probably many of you already hear about our new C2000 Delta Inverter series, and possibly many of you already work with it in some application. So this is one of the multiple ways to squeeze the capabilities of this versatile product. 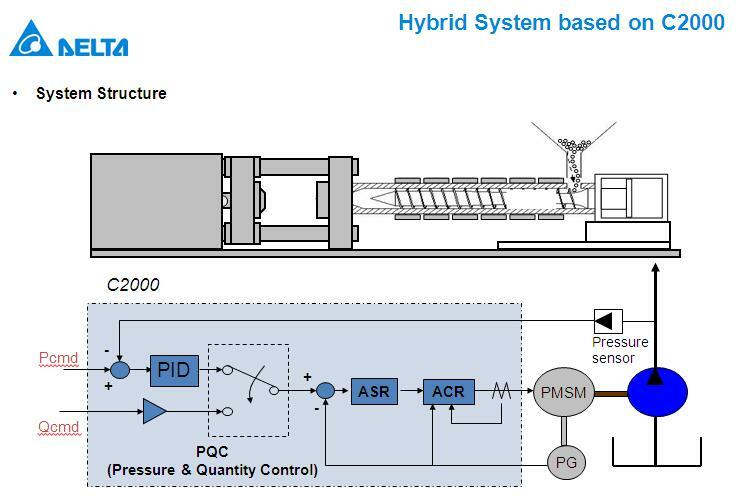 The keypoint in this system is use the internal PLC and the PG card (encoder feedback) of C2000 to create a standalone control system able to adjust itself without any extra controller. On the below links you will find the parameter configuration and PLC program to beable to test by yourselves. And to have full explanation of the application, don´t hesitate to download the following presentation. Don´t hesitate to test with your Injection molding machines customers! Modbus is strong an with a long and successful story of applications, but when interpolation is needed, you should need something else..
Is strong, easy to use, and more important fully compatible with many different brand devices on the market. Because of that we want to start a new Can Open Category with simple applications, easy to work on. In the near future we will keep adding Can Open examples with all our new compatible Can Open devices (ASDA-A2, C2000, etc…) but for start our cost effective CANOpen drive VFD-EC will work. Let´s start with the Hardware. – Use CANOpen wirings, Ethernet cables have the same pin-out, and they will work on short distances, but it can give you problems due they don´t have same internal impedance. – Remember to turn on the terminal resistor switch of TAP-CN03! If you don´t want to use it, remember to put 120 Ohm terminal resistor. – No need to supply V+ and V- connections for short distances, for long ones is recommended. As you can see in the video, once you link on the EDS files the inverter parameters with the PLC registers, you just have to work with them as local registers in the PLC. The PDO frames are going to be sended automatically in a continuous matter, so every change will be automatically updated in the other device. 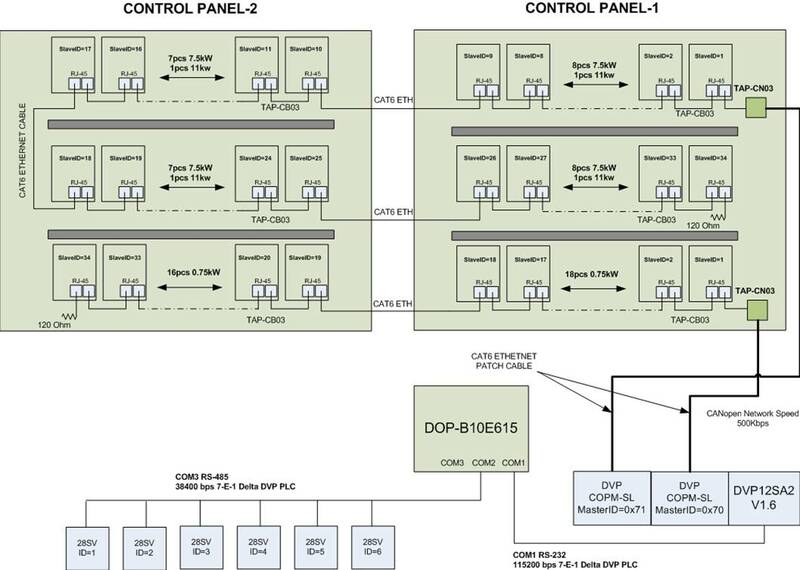 And after that, you only need to download the PLC and HMI programs. You will find it in the following link. 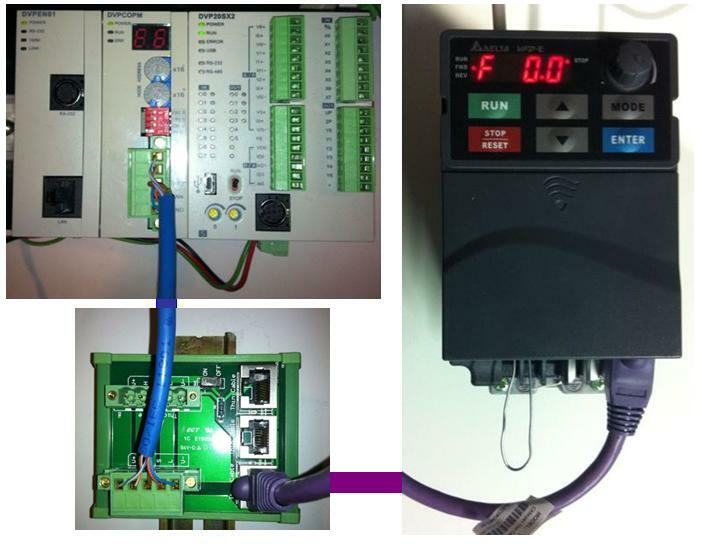 The HMI and PLC are connected trough RS232 (DVPACAB2030), but you can change it with no problem. If it´s your first step with CANopen, test it in your lab, and let us know your experience.